What does the diver fear most? Depth? Sharks ? No, colds! 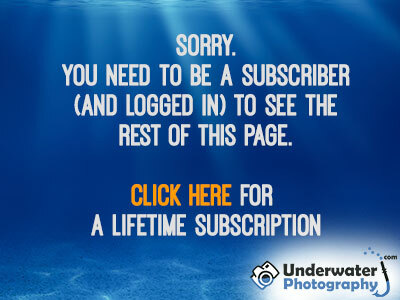 All underwater photographers live in fear of picking up a Flu' bug that will stop them diving. I have had some particularly bad luck in this respect. I have come down with Flu' the day before a major trip (once) and actually on location (twice). After the first time I thought that the 'lightning strikes twice principal' would mean that the laws of probability were on my side. However, the second time was the first day of a trip (to Truk) that I had been planing for five years. You can imagine my despair when I was sitting on top of the best wreck diving in the world unable to dive! Naturally I took a keen interest from then on as to any technique that may prevent colds.